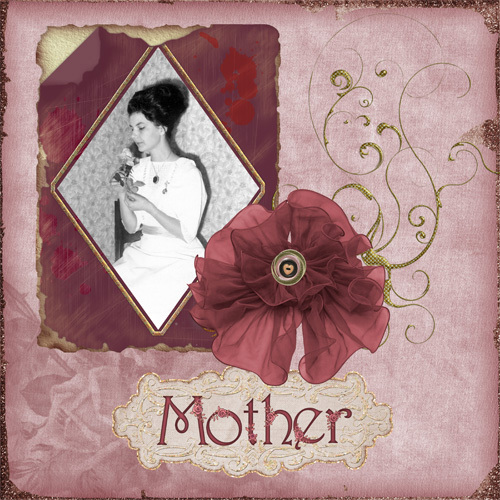 Mother, done with Old Time Lovers, by Laitha, at SAS. Alpha is an unidentified freebie. If you know who made it, please let me know so I can credit them! This is my mom, wearing an antique dress, taken in the mid-60s. 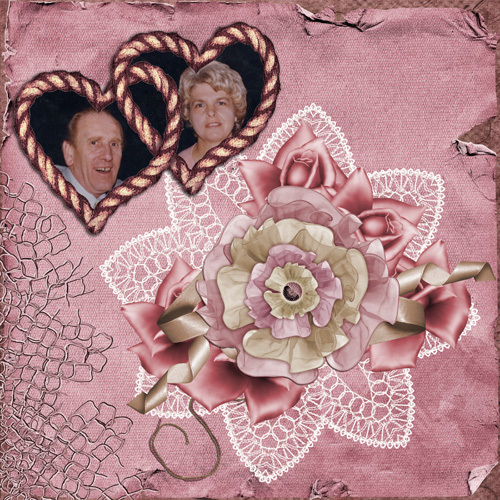 Bill and Alice, also done with Old Time Lovers, by Laitha, at SAS. These are my former inlaws, Wiep (Bill) and Alida (Alice) Kok. 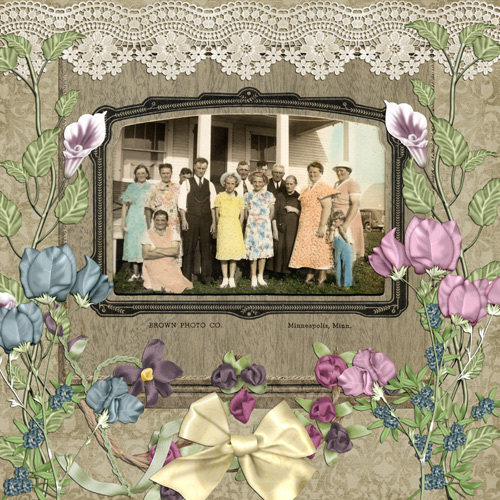 They immigrated to Canada from Holland after the war. Kiss, from our wedding. Done with the SAS January megakit Sugar & Spice. Fonts used are Acorn Initials and BD Renaissance. 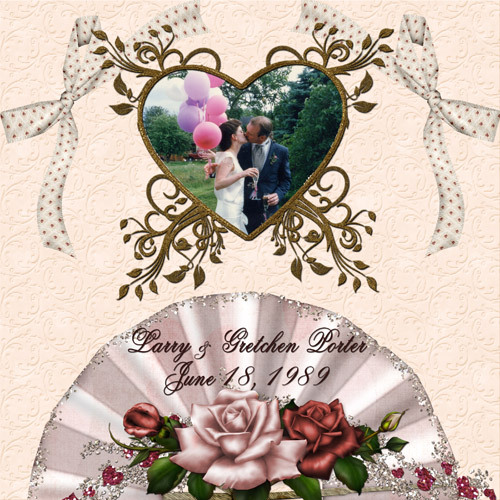 My sister Gretchen's wedding with Larry Porter, also done with the SAS January megakit Sugar & Spice. Font used is Old Script.